Availability varies. Please visit band site for selection. Please visit the “Parents Only” section on powerandclass.info. 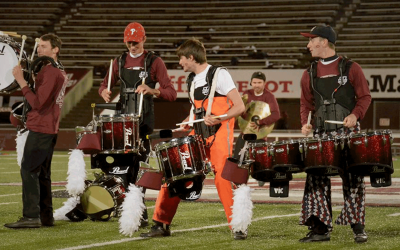 Because the official history of the Minuteman Marching Band belongs on your coffee table. 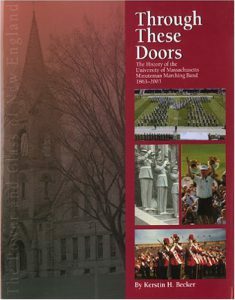 Published in 2004, this 240-page book covers the UMMB from its 19th-century roots through 2003. Get them while they last! 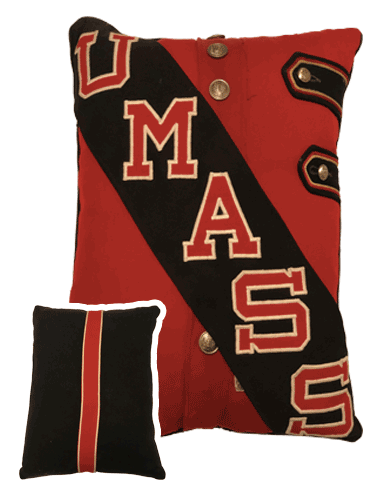 Your souvenir pillow made from the red uniforms the band wore from 1982 to 2001. Only the black sash version is available. Christmas is coming! 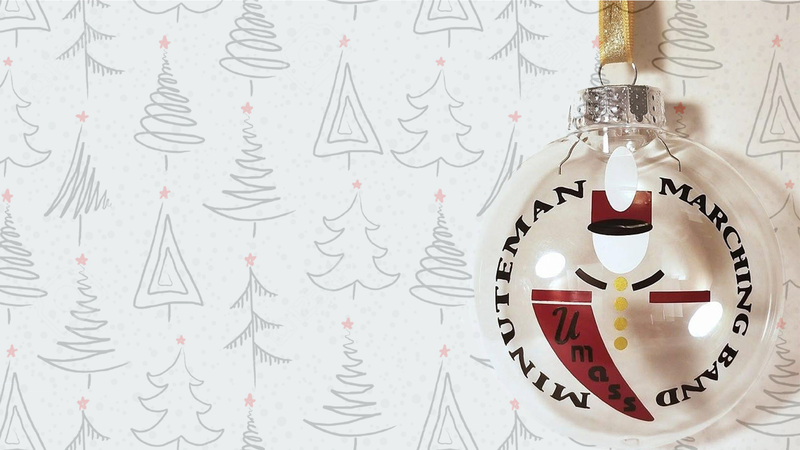 Get ready for your tree with one of these awesome new UMMB-styled ornaments! Versions are offered for the current “Norman” and previous “Herman” logos and can be customized. 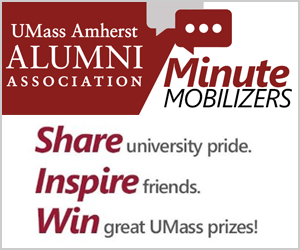 25% of proceeds will be donated to the UMMB. Before I give you the link, please consider an extra bit of clicking to earn some extra bucks for our favorite band. Sure, go ahead and buy from Etsy directly, but you’re literally taking money from the band! 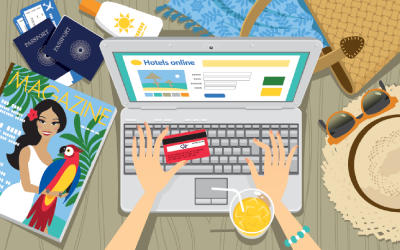 The online shopping portal iGive.com is offering nearly 1% bonuses (paid directly to UMMB) on Etsy purchases. Sign up for iGive to make a few bucks for the band, while also paying a very talented band alumna for her art. If already an iGive member, skip step 1.